Best Ebook Stores For Price - Which? We reveal the best stores for cheap ebooks and explain how to find free ebooks from the Amazon Kindle store, Google Play and Apple iBooks. We've checked the prices on 2016’s top 10 best-selling books across four popular ebook stores, including the Amazon Kindle store, Kobo store and Apple iBooks. With these results, you’ll know exactly which ebook store is the cheapest for downloading digital books. Read on for details on the cheapest ebook stores. 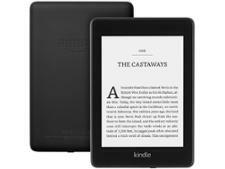 Our Best Buy ebook reader reviews page will help you find the perfect ebook reader for you. Our research covers the main ebook stores, where you can download titles for Kindle ebook readers, Kobo ebook readers and iOS and Android smartphones and tablets. These days, you don't actually need to own an ebook reader to enjoy the latest digital releases. Free apps including Apple's iBooks, Google Play Books, Kindle and the Kobo reading app are all worth taking a look at. The book may be the same regardless of where you download it, but the price can vary wildly. There's little benefit in buying a cut-price ebook reader if you're forced to download ebooks at extortionate rates afterwards. Check our table to see which ebook store offers the best value. for the week ending Saturday 6 August 2016. We found that Amazon's Kindle Store and the Google Play Store match each other for every book we looked at, with nothing separating the overall price of the two stores (£59.23). So fierce is the price war between the two companies that neither was beaten on price by any other ebook retailer for the titles we looked at. If you grabbed all 10 popular ebooks covered by our price check from Kobo (over Amazon or Google), you'd be paying almost £7 more. If you're looking for some new ebooks to add to your collection and don't want to spend any money, there are a couple of services to explore. These are completely legal to access – most either the result of lapsed copyright or self-publication by modern authors – and the good news is that they’re incredibly easy to find and often available on the same ebook app you use to buy your content. 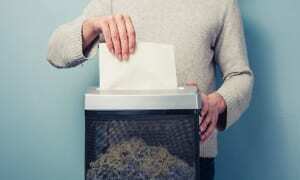 Typically, classic novels are more likely to be free to download than modern bestsellers. The Kindle app for iOS and Android is home to millions of ebooks, and a good selection of titles on the online store are free. 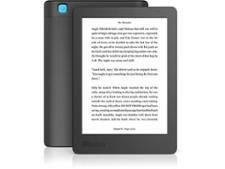 According to Amazon, more than 650,000 of its ebooks on the Kindle Store are on offer for £3.99 or less. You don't need a Kindle ebook reader to use the Kindle app. Free titles on Kindle include Pride and Prejudice, Treasure Island, Ulysses and David Copperfield. For more on Kindle, take a look at our Kindle ebook reader reviews. The ‘first producer of free ebooks’, Project Gutenberg has more than 50,000 free ebooks in its catalogue. These are available in ePub, Kindle, HTML and simple text formats, so you can read them on any ebook reader or tablet. On the Gutenberg website there are author and title search facilities, to help users browse the large collection of novels, poetry, short stories, non-fiction and reference books. Titles available through Project Gutenberg are digitized and diligently proofread by thousands of volunteers. 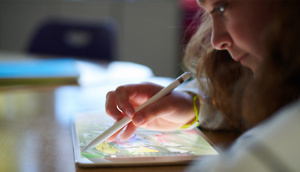 For bookworms with an iPhone, iPad or iPod Touch, Apple's stock iBooks app is a great place to start. The free ebook app boasts more than 2.5m titles, and there are a number of features there designed to improve your reading experience on the move. If you tilt your device so it's in landscape mode, you can view multiple pages at once, and you can also adjust the appearance of text to make things easier to read. Apple's iCloud backs up your books automatically, and the iBooks experience is also available on Macs running OS X Yosemite or later. Google's own ebooks app, Google Play Books, offers support across multiple devices, handy if you start a book at home on your tablet and want to continue reading on your smartphone the next day. Some titles on Google Play Books support text-to-speech, and you also have the option to rent an ebook rather than purchase it for good. There are more than 4m books in total, and as an added bonus you can upload your own documents (in ePub or PDF format) to the app. You don't always have to head to an online store to find a free ebook. Many libraries offer ebook lending facilities, although the loan period varies from about 7-14 days, and will usually include both the latest books and a selection of classics. For more information contact your local library. Looking for a new ebook reader? 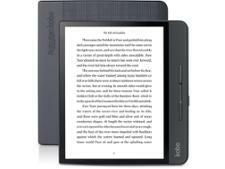 Our Amazon Kindle vs Kobo guide will help you make a decision.